2015 may seem like an off-year for cinema – many of the biggest American directors are still producing their next projects – but it was really one that had to be defined by discovery. With the exception of a certain space action franchise, a lot of discussion on cinema these past few months has been on mid, small, or even remarkably-small budget films. Independent and foreign films by first or second-time filmmakers are slowly finding audiences, and exciting new careers are being developed in the off-time between releases from the established American auteurs. For once, the best-made American movie of the year is also the stuff of a best picture winner. With Michael Keaton, hot off praise from Birdman, starring along-side the likes of Mark Ruffalo, Rachel McAdams, Stanley Tucci, and Liev Schreiber, this is a clear Oscar-season heavy-hitter (and I mean this in a mostly derogatory sense here). But as it turns out, Spotlight, and its true story of the 2008 Boston Globe team of reporters that uncovered extensive abuse and corruption within the Catholic church, is far less interested in prestige than you would imagine. Keaton is wisely subtle; note-perfect, but Liev Schreiber may be the standout as the Globe’s new, uncompromising editor. 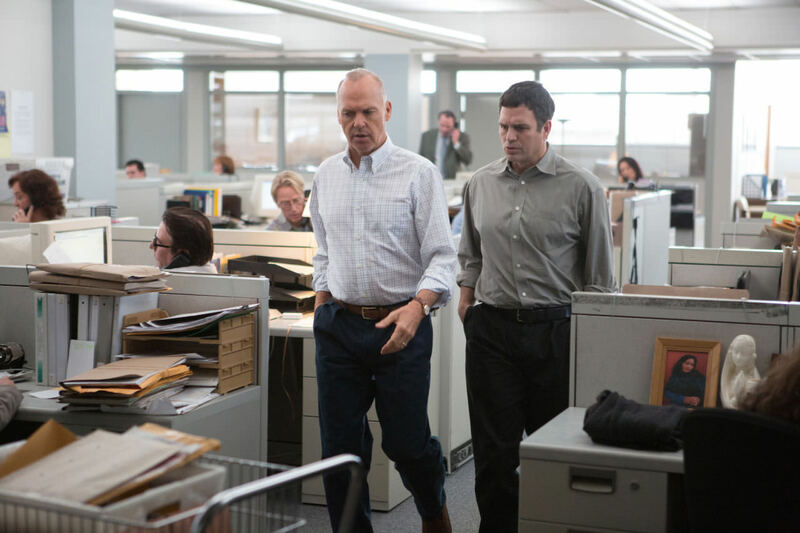 With no romantic threads or b-stories to contend with, Spotlight makes for two-plus hours of sustained, airtight suspense, and it manages to make realistic reporting actually compelling. These are filmmakers that understand tension, montage, and dialogue, and it yields great results from a cast and crew clearly committed, script-to-screen, to making a damn good film. Phoenix doesn’t indulge in much exposition. 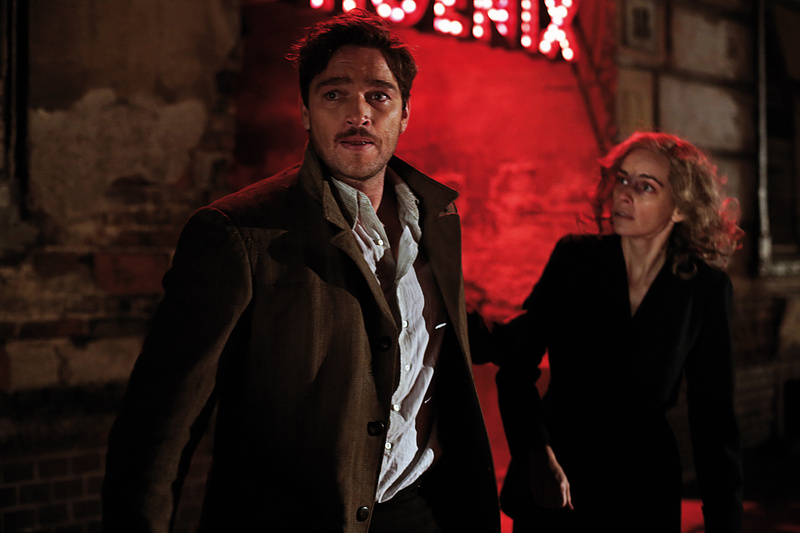 A holocaust survivor returns to Berlin a stranger with a crumbling sense of self when injuries she’s sustained require extensive facial reconstruction surgery. For the rest, it relies on our understanding of the atrocities of the war to motivate how little this person has left to lose as she agrees to begin a new kind of relationship with her husband – one that revisits the unsettling obsessions of Vertigo. Christian Petzold and Harun Farocki’s screenplay is, on the surface, busy with the development of this strange agreement, but it’s ultimately revealing in its questioning of identity and the fragility of who you are without what you look like. The knock-out final scene, featuring a performance of Kurt Weill’s 1943 song “Speak Low” (a recurring motif used throughout the film – listen for it) probes deep in a search for validity that this woman still exists despite her misfortune, and succeeds with heart-stopping execution. Find technical and creative brilliance abound in Charlie Kaufman’s most fluid and moving work yet. David Thewlis plays a customer service expert travelling to speak at a customer service convention. In other words, his life is boring. Then he meets an extraordinary woman (as voiced by Jennifer Jason Leigh). It could be as simple as that, but we’re talking about the writer who sent John Cusack into Malkovich’s head here, so of course there’s more, but this is one to discover as it unfolds. Originally conceived as a radio play due to some tricky logistics involved with the narrative, co-director Duke Johnson works alongside Kaufman to help bring the story to life in a visual form. The resulting collaboration finds Kaufman showing a new willingness to let in a little bit of what makes traditionally successful movies work – even a moment of slapstick comedy. The blend of conventional storytelling and out-there Kaufman surrealism makes for a real treat. The stop motion animation, which is somehow both unbelievably realistic and delightfully rough and tactile, is unlike anything you’ve ever seen. The seams where the top of the characters’ face plates meet the bottom are left exposed, reminding you that you’re looking at puppets – but again and again the number of natural, precise, every-day, who-would-even-bother-animating-that movements and details convince you that these are humans. It’s an animated film that’s shot, beginning to end, as if it were live action, and yet it’s a concept that can only exist within the fantasy of animation. See it: In wide release January 2016. 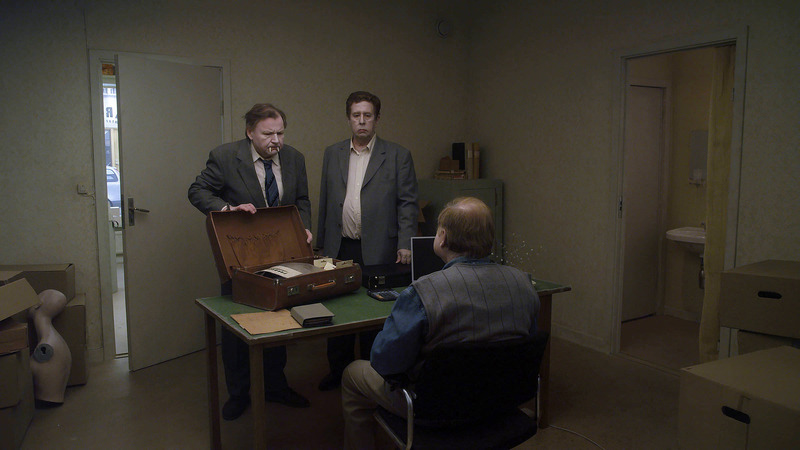 About as ambitious as its title, Pigeon completes Swedish master Roy Andersson’s “Living” trilogy, and attempts no less than to exhibit an understanding of the entirety of existence, or, well, that of a pigeon. Really, though, it’s a film about all sorts of things. Travelling salesmen selling gag gifts with the enthusiasm of cadavers, a dance instructor’s unwelcome advances on a student, King Charles XII leading his army to battle, a couple cuddled on the beach, and a machine that, literally, converts the screams of dying African slaves into music for the enjoyment of the aristocracy. That last bit is just one of two moments that will elicit audible gasps from audiences. Whether you find this array of characters, settings, and tones to be a thrilling prospect or not will determine whether you’ll find this piece by Andersson to be truly transformative, or simply pretentious. There’s no losing with this one, though. Fail to engage with the material, and you’ll still likely appreciate the excellent production design work that went into creating this bleak and beige other-world. Tap into the dry comedy, the unparalleled perspective on life, and the sheer audacity of it all, however, and scenes from Pigeon will root themselves to the mind and pop up days and months later. And years, too, probably…but I haven’t gotten there yet. A heroin addict’s life on the streets of New York City is captured with ultra-grit by Benny and Josh Safdie in Heaven Knows What. Arielle Holmes stars in this film adapted from her own book – an unpublished memoir she wrote while, yes, living on the streets of New York City as a heroin addict. Needless to say, this isn’t an easy watch. There’s desperation, a graphic suicide attempt, and a generally upsetting sense of reckless abandon throughout. There’s also great performances from non-actors, a bravura long-take, and a smart dismissal of the linear plot points that would drive most other attempts at this subject matter. Guerilla-style shooting finds the camera stashed somewhere across the street from the characters in many scenes as they act alongside unaware passersby. That muted, documentary style, paired with scenes that often amount to little more than a shrug in terms of what they “do for the story” suggest a great respect for Holmes’ experiences and make Heaven Knows What one of the most exciting independent releases of the year. Warmth clings to the screen like condensation in Carol, Todd Haynes’ delicate imagining of a 1940s New York City, captured from inside the foggy bubble of an emerging romance between a department store clerk (Rooney Mara) and an elegant older woman in the midst of a divorce (Cate Blanchett). 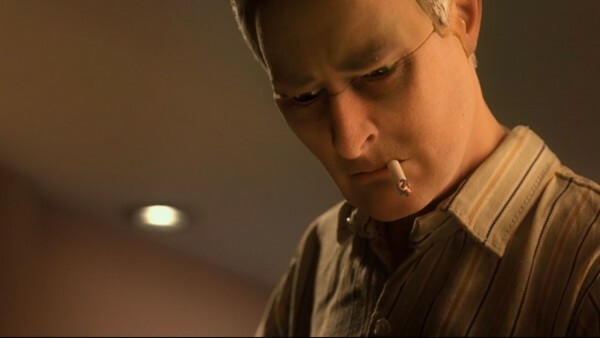 Carter Burwell’s pensive, piano-rooted score adds dramatic heft and beauty to even the stillest of scenes, and Ed Lachman offers glorious, nostalgic cinematography with his decision to shoot on Super 16mm film – a bold format choice, and one of the last true looks difficult to replicate through digital cameras. 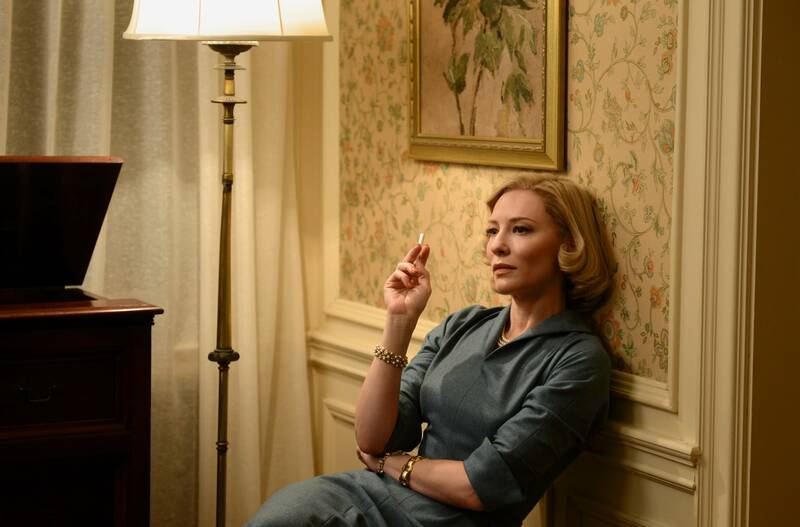 One scene featuring Jake Lacy unfortunately stands out for its informational utility, violating the standard of subtlety Haynes sets with the rest of the film, but Carol is otherwise lined end-to-end with an art of simplicity – a scale of tenderness expressed in gestures, glances, and the buzzing magnetism between two lovers’ closeness of being. It is without a doubt the year’s most intimate romance – confronting past injustices to homosexual couples while maintaining an undeniably intoxicating atmosphere. Two transgender prostitutes tear through the streets of L.A. on Christmas Day in search of a drug dealer and his junkie girlfriend in this kinetic, urban whirlwind directed by Sean Baker. The visually explosive cinematography of the seedy streets and storefronts of a sun-drenched L.A. (that you’d never know was shot on modified iPhones) is probably the most vivid take-away, but Baker also impresses with his aptitude for shifts in tone – offering moments of both loud, farcical comedy, and legitimate, quiet sympathy for his leads, played with endless zeal by Kitana Kiki Rodriguez and Mya Taylor. Ethereal and poetic, Clouds of Sils Maria is another work of beauty from a French director familiar with such achievement – Olivier Assayas (Summer Hours). Juliette Binoche plays a film star who struggles with her decision to play a different part in the play that launched her career many years ago. Her life and the material she’s rehearsing entwine in uncomfortable (for her) and involving (for us) ways. Kristen Stewart is outstanding as Binoche’s personal assistant, and nearly out-performs everyone else in the film with her signature apathy harnessed by a director that really knows what to do with it. The title refers to a geological event – a snake-like cluster of clouds that make their way through Maloja Pass, a Swiss mountain range and also the namesake of the play within the film. Between the lingering reminders of those clouds, the surface-level story being told, and the denser meta-discussions taking place within it, there’s a lot going on, and it can be admittedly confounding, but in an enduring, typically French way that doesn’t elicit frustration so much as wonderment. Long-forgotten memories resurface to pollute the present a week before a couple’s 45th anniversary party in this UK domestic drama about the ramifications of silence. 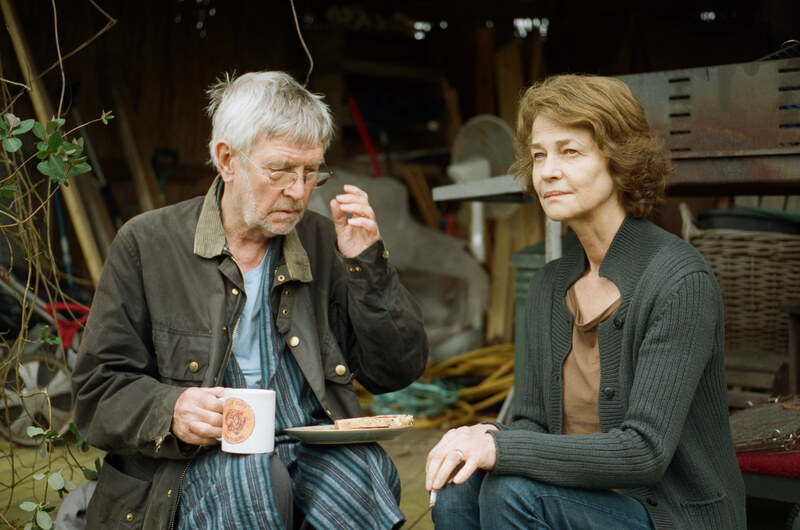 Understated performances from Tom Courtenay (Dr. Zhivago, The Dresser) and Charlotte Rampling (Never Let Me Go, Broadchurch) delight under Andrew Haigh’s considered direction, which allows plenty of room for Rampling’s stand-out naturalism. A more vibrant monologue or confrontation, like the dinner scene that comes at just the right time in Le Week-End, may have gone a long way in mixing up the tone in this very deliberate drama, but 45 Years is nonetheless effective in its involving portrayal of the pervasive impact past experiences can have on the present. It’s one to revisit throughout life, as circumstances and point of view change, to further sympathize with these characters’ decisions and responses; words and silences. Entertainment – A trip into a hell-like envisioning of the soulless Southwest alongside the country’s worst comedian. Ex Machina – Good sci-fi; great dance moves. Inside Out – Pixar doing what Pixar does – heart-breaking, surreal, and funny. The Look of Silence – Companion to The Act of Killing – not quite as disruptive, but equally important. Mad Max: Fury Road – A series of awe-inspiring action moments strung together with the year’s most badass female performance. Mistress America – Noah Baumbach’s funniest film. Mustang – Powerful statement on the futility of parental control. Slow West – A distinctly modern old-fashioned western. The Tribe – An uncompromising, immersive experience with a completely arresting final scene sure to make any audience a room full of adults watching with half-covered eyes. White God – The one to see if you’ve doubted a Hungarian dog can lead a harrowing coming-of-age story. Here are some of my favorites from festivals this year, look for them in theaters in 2016.